Protect Your Family with an Estate Plan | The Levin Law Firm - Philip Levin, Esq. Our professional partners are the heart of our firm! 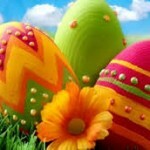 The Levin Law Firm wishes you and your family a happy and healthy Easter! 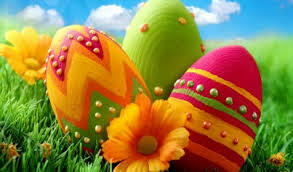 This Easter, we remind you to help your clients protect their loved ones by planning for the future. Estate and financial planning help ensure that health care and financial goals are achieved, in the event that clients become incapacitated or pass away. 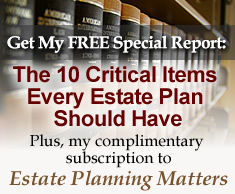 A comprehensive estate plan provides peace of mind to your clients and their families. Regardless of net worth, if your clients are over eighteen (18), it’s important to have a basic estate plan in place. A basic estate plan should include a Will, Financial Durable Power of Attorney, Advance Medical Directive (living will and health care proxy), and HIPPA Waiver Authorization. Estate planning may also include trusts, which enable clients to put conditions on how and when their assets will be distributed in the event of death. To learn more about estate planning, please visit our website. Financial planning often includes retirement accounts, investments, life insurance, annuities, and long-term care insurance. Remind your clients that it is never too early to start financial planning for their future! The Levin Law Firm provides comprehensive estate planning services to our clients, who desire to protect themselves and make sure that their property distributes to their designated beneficiaries at the right time and in the proper manner. If your clients are ready to begin working with an estate planning attorney, in order to update or establish their estate plan, or desire specific material about the importance of having an up-to-date estate plan, please call Ginni or Laura to arrange an appointment!